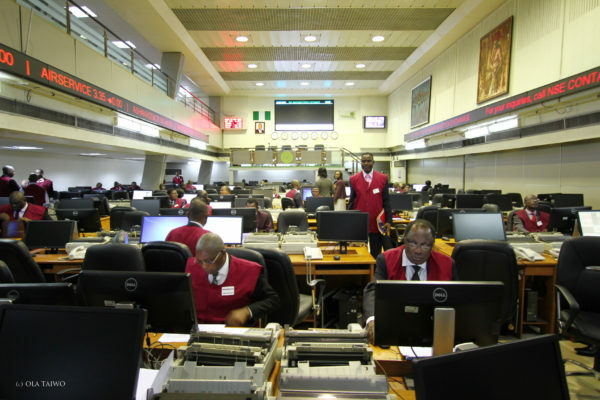 Nigerian stocks fell to a near-two-year low on Monday as low economic growth weighed on sentiment, analysts said. The all-share index was down 1.43 percent in late trading, having recovered slightly after dipping to its biggest intra-day decline in seven months. “The general market sentiment around equities is weak and not encouraging,” said Tajudeen Ibrahim, head of research at investment firm Chapel Hill Denham. Buhari, who starts a new term in May, has pledged to revive the economy, which has been stuck in low gear since emerging from recession in 2017. Analysts have pointed to negative credit growth as one of the constraints on the economy as policy makers squeeze liquidity to prop up the currency and curb inflation. Heavyweight Dangote Cement , which reported strong earnings and accounts for around a third of stock market capitalisation, shed 7.41 percent on Monday. The most liquid banking sector stocks dropped 2.11 percent.